Right now you can get a FREE $15 Target gift card when you purchase $50 in select household items from Target! 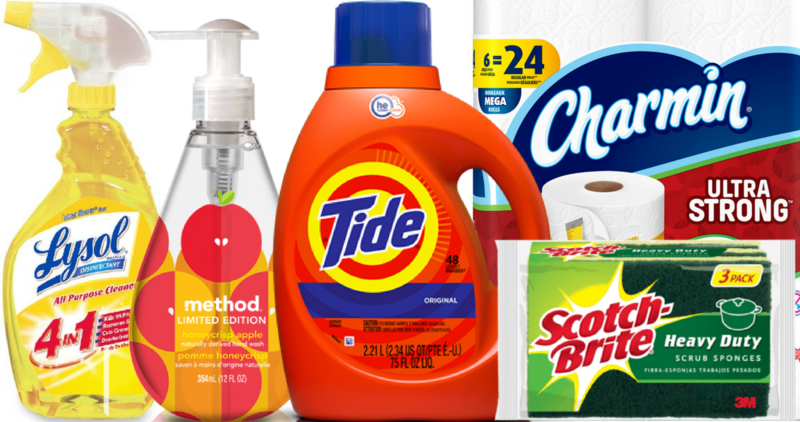 This deal includes paper towels, laundry detergent, dish soap, and lots more. This is valid in-store and online, but you must choose in-store pickup when shopping online (or Target Restock if it’s in your area). The gift card will automatically be added to your cart online with your qualifying purchase, but it won’t be delivered until after you’ve picked your items up in the store. If shopping in-store, scan the coupon found in the weekly ad or the Target app to get the gift card. You can use Cartwheel offers online; make sure you add the coupons to your account before adding items to your cart. REDcard holders save an extra 5%! This offer is valid through 3/9.